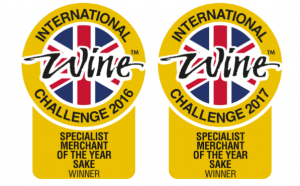 Tengu Sake specialises in bringing premium quality Japanese sake to the UK market. With well over 20,000 sake available in Japan the choice can be daunting; fortunately, Tengu Sake has selected only the very best. Representing seven esteemed, award-winning Japanese kura (breweries) we pride ourselves on delivering a delicious and authentic taste of Japan to the UK. You can find our sake in many prestigious restaurants and bars throughout the country. Tengu Sake strives to engage a non Japanese-speaking audience. We label all our sake with clear, easy-to-understand English back labels and neck ties. We have also developed our unique pictogram system that allows at-a-glance understanding of sake type, flavour and serving temperature. We also believe sake education to be an important part of what we do; our Director and Sake Specialist, Oliver Hilton-Johnson, volunteers as Sake Educator for the British Sake Association, putting on sake tastings and events throughout the year. As well as supplying to restaurants, bars, clubs and individuals, and our sake education events we also manage a range of sake experiences. We organise sake seminars, corporate events, teambuilding exercises, sake and food pairings, private catering, and a sake curatorship service for our more discerning clients. Additionally, we offer sake ‘pilgrimages’ to Japan: guided tours of our breweries and the opportunity to sample some of the best in Japanese cuisine and stay in some of Japan’s finest hotels – truly an experience of a lifetime. Fine sake – arguably as nuanced as wine and of a similar alcohol content – can be enjoyed chilled, warmed and with a wide variety of food. Lauded by Japanese chefs for its high umami content (the fifth taste) and its ability to enhance the food it pairs with, sake is gaining a notable following amongst western chefs, wine enthusiasts and gourmands alike. Find out more about us and get the most up-to-date info by signing up to our newsletter. It’s sent out infrequently and is filled with all sorts of interesting bits and bobs. Sign up here: newsletter signup.